It happens every time! I make eggs for breakfast just about every morning, and the brown organic eggs seem to break off into little pieces so much easier. 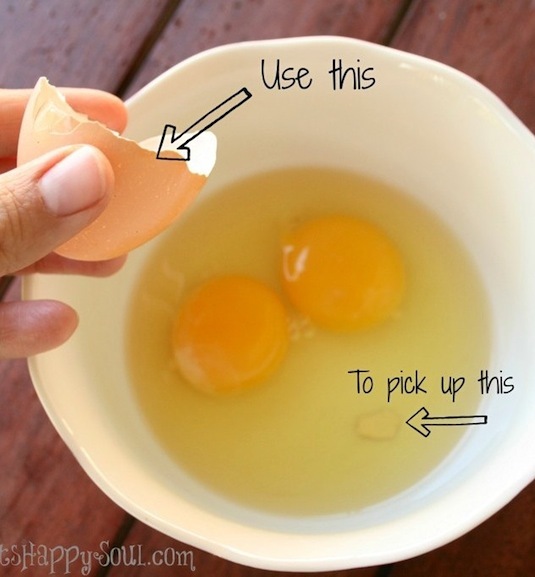 Instead of fishing around with your finger to dig them out of your bowl (yeah, I do that), use one of the egg shell halves to scoop it out! I eat too many eggs for them to ever go bad, but this sure is good to know. I got so excited when I saw this, I dug into my fridge to test it for myself. My eggs seemed to be 4-6 days old — good enough! You’re probably wondering how this works, and yes, there is some science behind it. Eggshells are porous, allowing air to slowly get in over time. 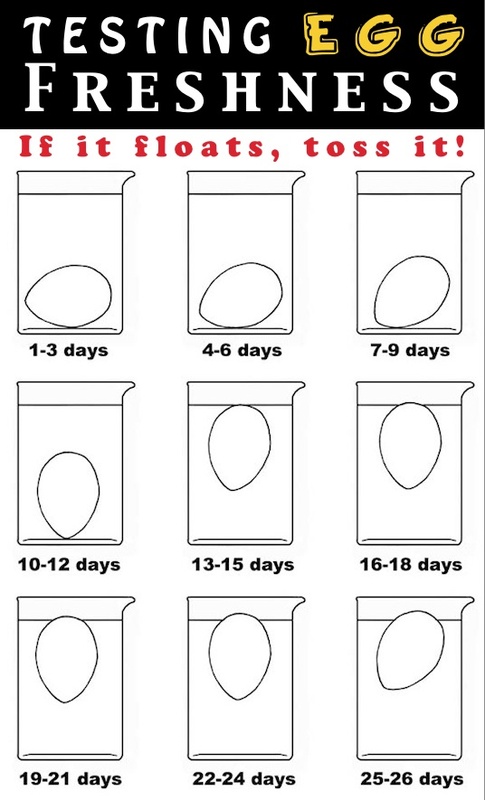 As more air enters the egg, it gets lighter and lighter, which explains why it will eventually float. 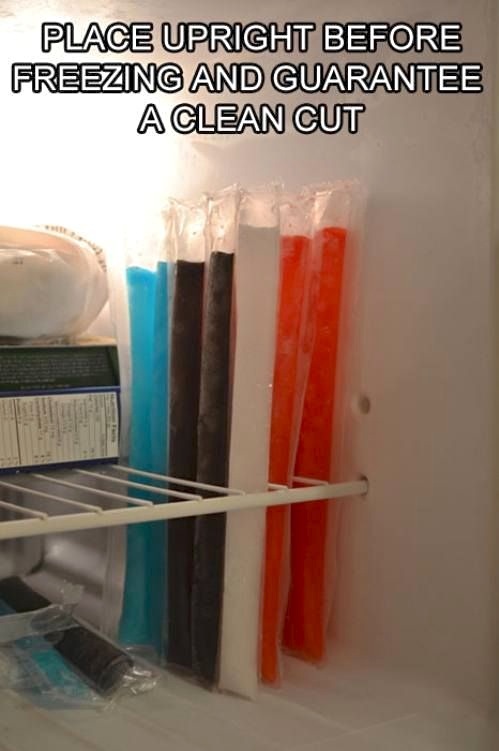 I don’t know about you, but I’ve always called these things Otter Pops! I grew up with a freezer full of them in the summer. I especially loved the jumbo ones I could get from the ice cream truck that circled my neighborhood. Our scissors were always sticky with melted popsicle syrup. Too bad I didn’t think of this then!